So this week at work I was hosting an important event which had some important guests attending and I had to make it look special on a very very small budget. Thankfully I managed to make a pretty awesome centerpiece using what I found around the office. Recently I had purchased glow sticks for an event from a company called 4imprint sadly they came about 2 weeks after the event that we had intended to use them for, but thankfully for me at least that meant I could use them for multiple events this week. In the Image to the left you can see the glow sticks. At this event we were giving them away in the beer mugs we also purchased from 4imprint at a beer tasting. The glow sticks come with 4-5 settings of changing or flashing lights. My favorite setting has the tube slowly transfer the color of the lights. 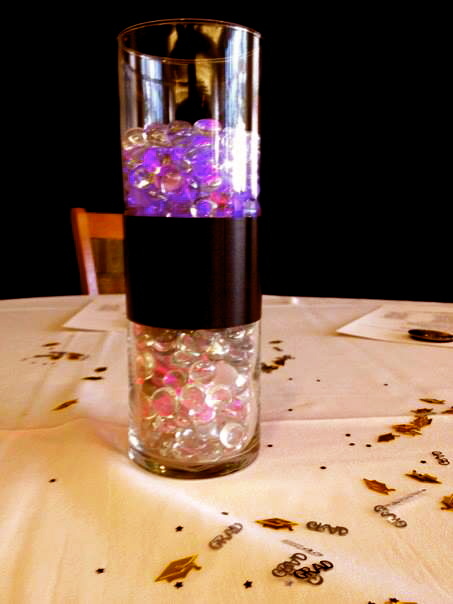 Now using other items I had around the office such as large glass tubes, glass beads and ribbon we created a centerpiece that was nothing more than lackluster. Until I decided to dismantle the glow sticks take the bulbs out of the bottom and place them at the bottom and middle of each of my centerpieces to create a fun colorful option. 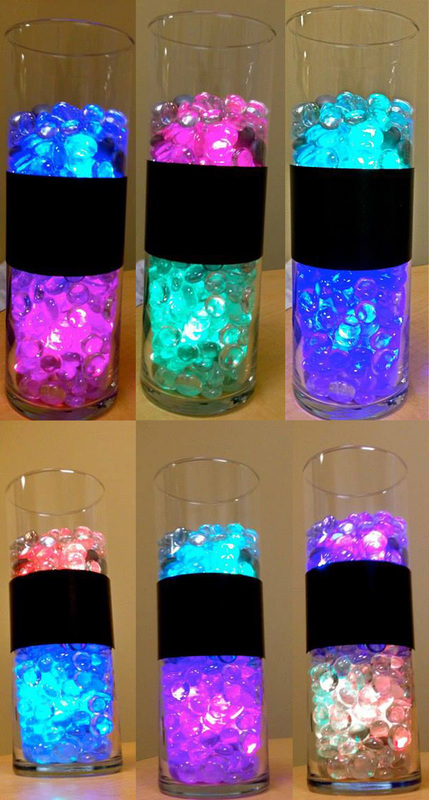 In the image below you can see the cylinders going through their color changing phases. 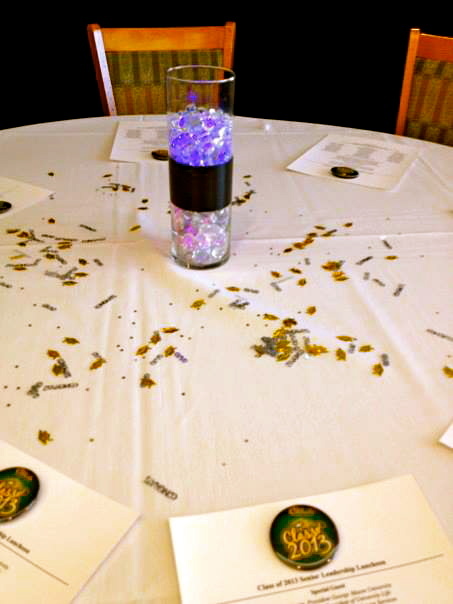 Using the centerpieces and some simple confetti on the table we are able to make a beautiful simple table setting that was all the talk of the party. Below you can see the finished table setting. You might not be able to take apart your give aways to achieve this look but you can buy items like this to do it yourself! Click each image to be brought to their page.